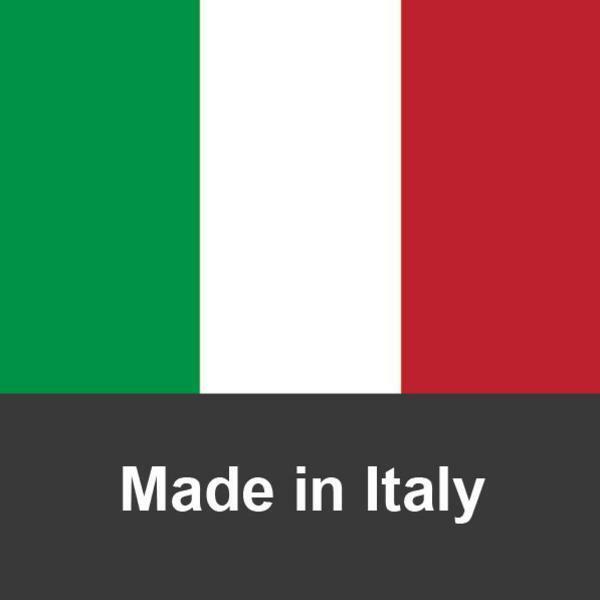 • Newly standard on the i300, i500, i600, and i700 models from Reliable! Note: We are pleased to announce that the Reliable i500 Ironing Station has been updated. 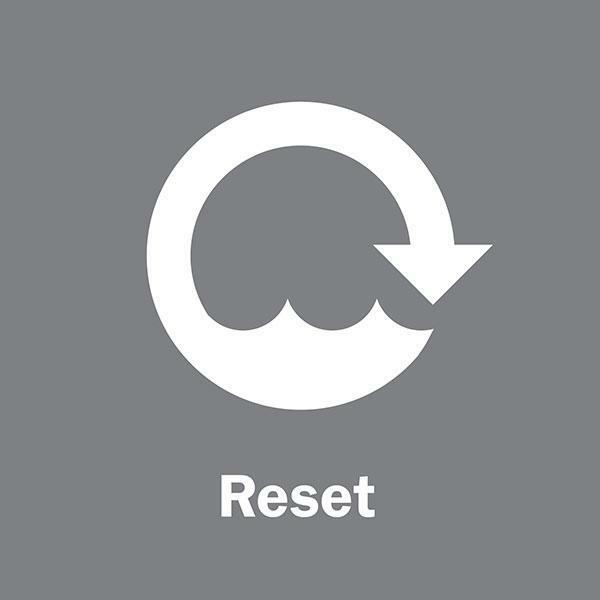 The new model features a RESET button that protects the heating element and will prevent it from burning out and comes with an updated, modern stainless steel exterior. 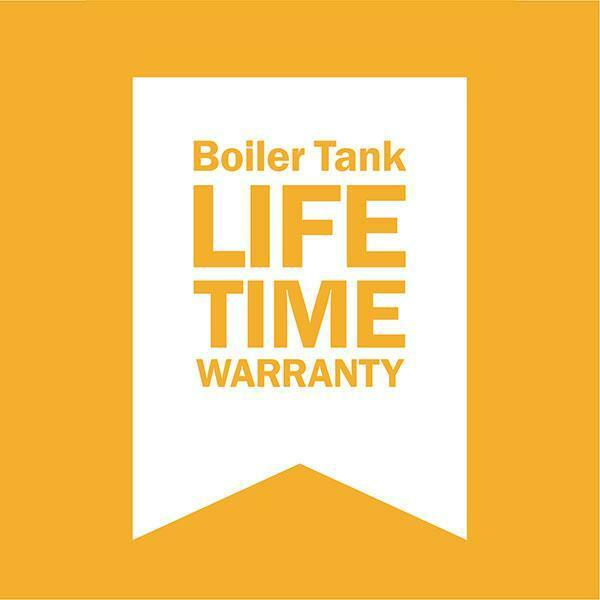 And of course our exclusive Lifetime boiler tank warranty. The new i500 replaces the old model shown in the picture on this page.. The new and improved i500 is now in stock and also available with the optional 11.5' steam hose set. The Reliable™ i500 professional ironing system will make all of your ironing tasks easier. The 2.5 liter stainless steel tank will provide hours of continuous dry steam. 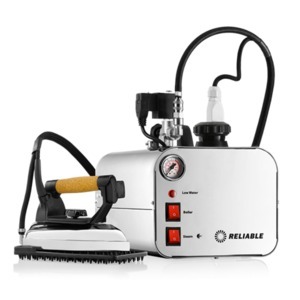 Standard features include a low water level indicator, quick disconnect for the steam and electrical connection, and of course, Reliable™'s trusted reputation for building quality, long lasting equipment. Reliable understands that the quality of a boiler/iron is only as good (no matter how nice it looks) as what is inside it. This is why we use 12-gauge wiring throughout, a ceramic (not plastic) terminal block, and an all stainless steel steam tank to eliminate the chance of rust. The i500 is easy to use and to operate. Simply fill it up with regular tap water, plug it in, and in 10 minutes you will have beautiful dry steam. Others promise dry steam, but our i500 delivers the dryest steam in the industry with a regular operating pressure of 50 P.S.I. We didn’t cut any corners with the i500. We use the same iron that we use on our most expensive boiler/iron systems. The iron has a unique labyrinth system that separates the water from the steam, guaranteeing dry steam. 4-pin (quick disconnect) plug for electrical connection. Up to 4 hours of continuous steam. 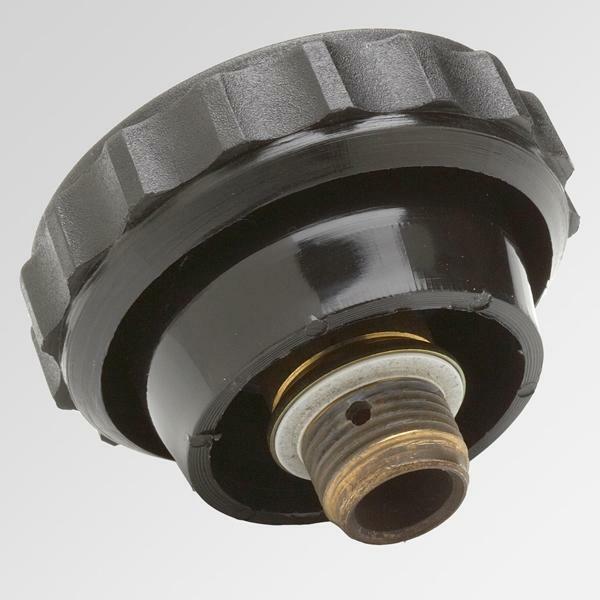 4 SAFETY SYSTEMS The i500 has 4 safety systems including a pressure switch, probe safety thermostat on the heating element, safety cap with safety valve, and a low water indicator. PRESSURE GAUGE A pressure gauge is standard on the i500. 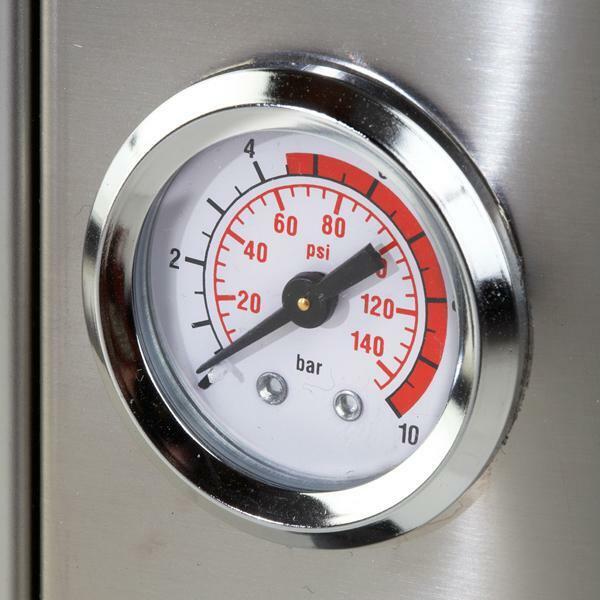 It gives you a constant, visual indicator of the internal boiler pressure. 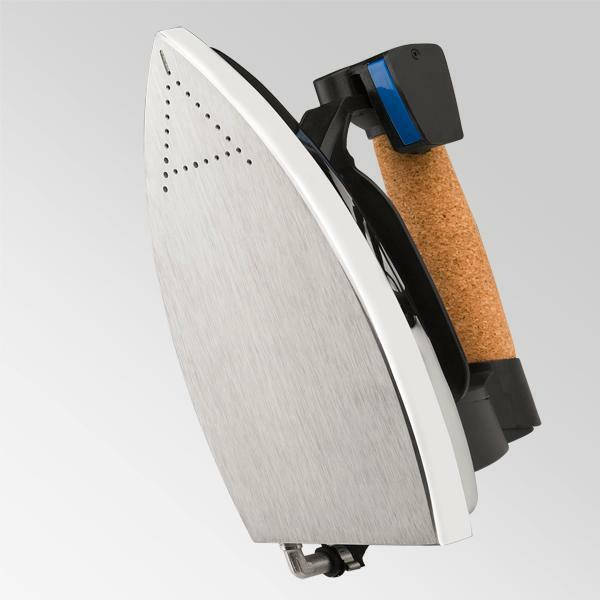 ALUMINUM SOLEPLATE The i500's iron uses an easy to clean aluminum soleplate with holes at the tip for maximum steam penetration. 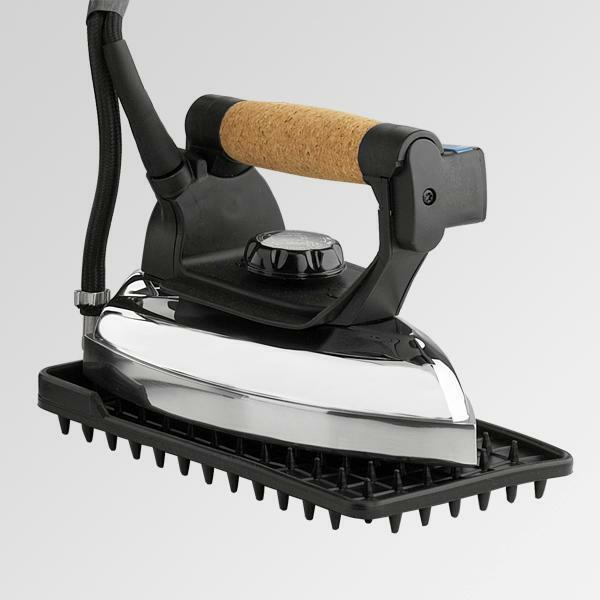 HEAT RESISTANT IRON PAD The i500 is supplied with a heat resistant silicone-rubber iron pad to rest the iron on. The iron can be safely left on the pad for extended periods of time. 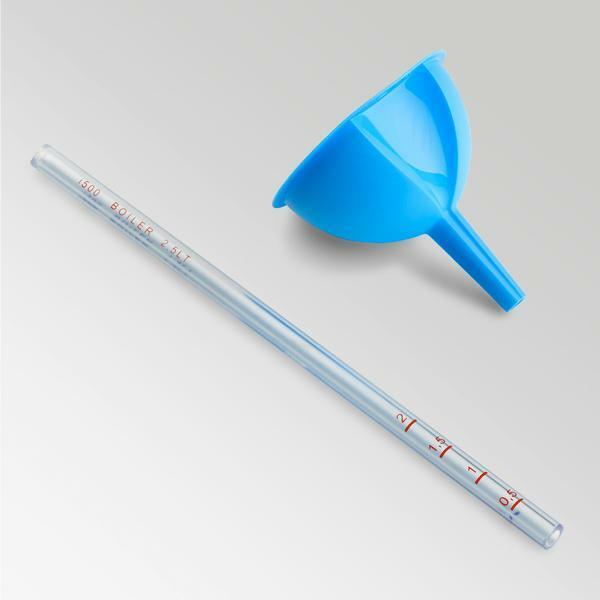 ACCESSORY KIT Each i500 steam iron station comes complete with a water funnel and a water level measurement stick.